Serpent was 19 when he constructed this puzzle. 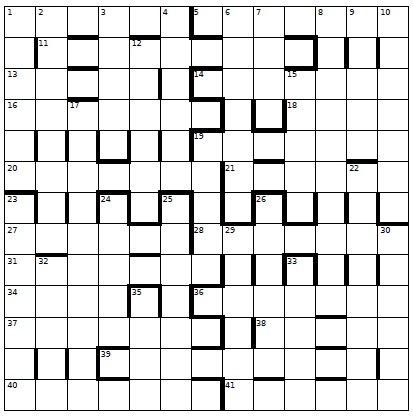 As a result, eight answers are both 19 and 8, and the corresponding clues do not include definitions. Fortunately, the word formed by the eight unchecked letters in the across answers thus affected, taken in a natural order, is 19 but not 8, as is the word formed by the eight unchecked letters in the affected down answers. To enter this competition, send your entry as an image or in list format, to ccpuzzles@talktalk.net before the 8th May 2015. The first correct entry drawn from the hat will receive a book from the Chambers range which has been donated by Chambers. Please note the new email address.